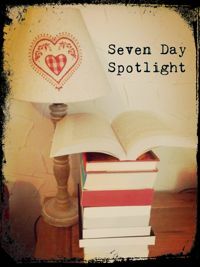 Welcome to this week’s Seven Day Spotlight post. 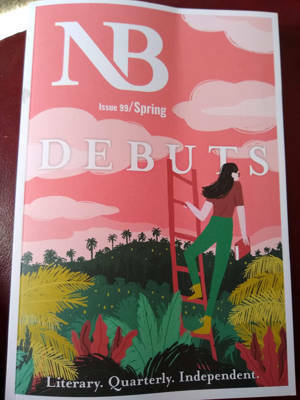 The new NB magazine arrived this week and I was really pleased to see (a) a gorgeous cover and (b) 5 of my reviews in there! 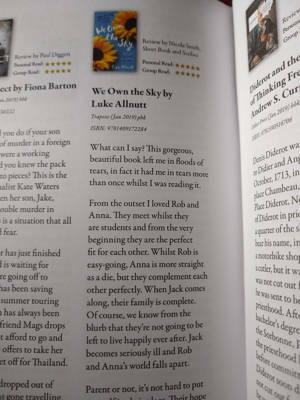 All have already appeared on my blog so if you want to read the whole review instead of trying to peer at my rubbish photos, just click on the links below. 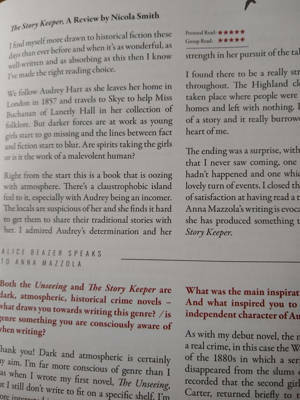 I can highly recommend reading the rest of this fabulous magazine as it’s filled with lots of lovely bookishness. 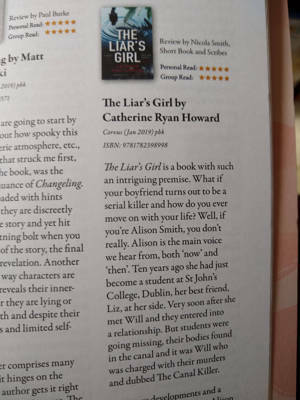 The reviews are for The Liar’s Girl by Catherine Ryan Howard, The Puppet Show by M.W. 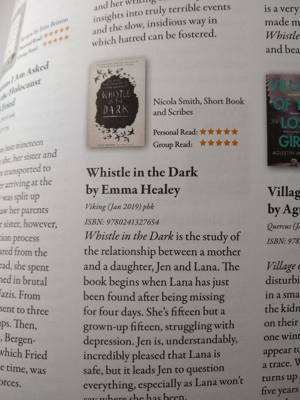 Craven, The Story Keeper by Anna Mazzola, We Own the Sky by Luke Allnutt and Whistle in the Dark by Emma Healey. On Monday, I shared my review of My Sister is Missing by Julia Barrett. 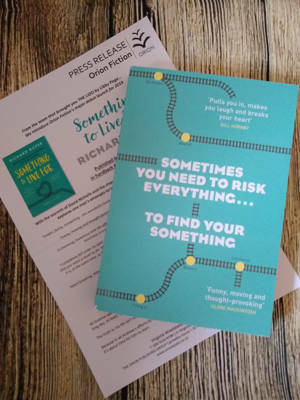 Tuesday’s post was an extract from A Letter from Sarah by Dan Proops. On Wednesday, I reviewed The Bridal Party by J.G. Murray. 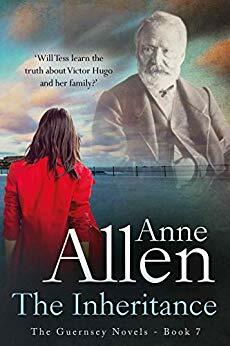 Thursday’s post was an extract from Sewing the Shadows Together by Alison Baillie. And on Friday, I shared my review of A Gift for Dying by M.J. Arlidge. Saturday was a day of nothingness, a rare quiet day on my blog. 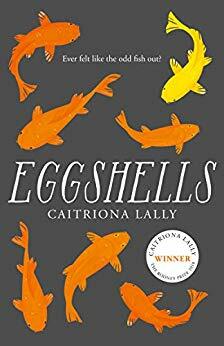 Eggshells by Caitriona Lally – this seems wonderfully quirky. 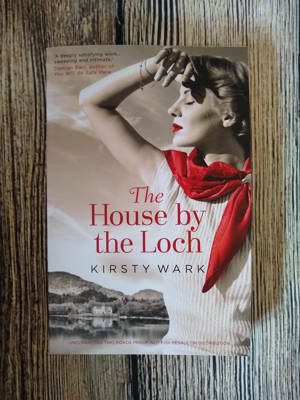 The House by the Loch by Kirsty Wark – I loved The Legacy of Elizabeth Pringle so was really happy to receive a copy of this one. Walter MacMillan is bewitched by the clever, glamorous Jean Thompson and can’t believe his luck when she agrees to marry him. Neither can she, for Walter represents a steady and loving man who can perhaps quiet the demons inside her. Yet their home on remote Loch Doon soon becomes a prison for Jean and neither a young family, nor Walter’s care, can seem to save her. Many years later, Walter is with his adult children and adored grandchildren on the shores of Loch Doon where the family has been holidaying for two generations. But the shadows of the past stretch over them and will turn all their lives upside down on one fateful weekend. A beautiful and emotional wartime historical novel – heartbreaking, moving and unforgettable. 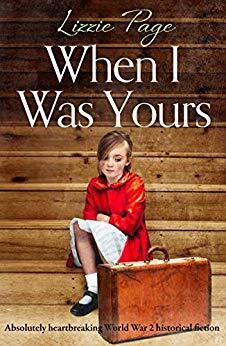 Perfect for fans of Orphan Train and Before We Were Yours. 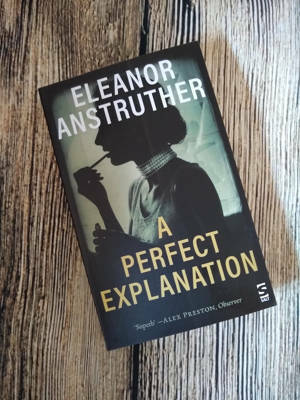 And my pre-order of A Perfect Explanation by Eleanor Anstruther arrived. 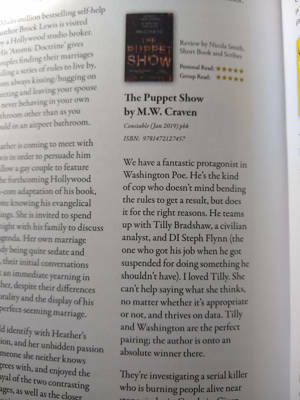 That is fantastic getting your reviews published in the magazine! Wow. Well done. Aw, that’s so lovely 🙂 Thank you.